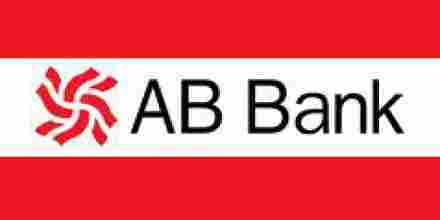 The main objective of this report is to analysis Overall Performance of AB Bank Limited. General objectives of this reports are to accomplish the partial requisite of MBA Program and to achieve of good judgment with theoretical base, to have a evaluation of AB Bank, to evaluate the factors affecting performance of AB Bank and to make a comparative analysis of the performance of AB Bank is valuation to Southeast Bank and Brac Bank Limited. This study is intended for providing me invaluable practical knowledge about banking operation system in Bangladesh. The prime objective of the study is to examine the “Overall Performance of AB Bank Limited. : A Comparative Analysis”. To accomplish the partial requisite of MBA Program and to achieve of good judgment with theoretical base. To evaluate the factors affecting performance of AB Bank. To make a comparative analysis of the performance of AB Bank is valuation to Southeast Bank and Brac Bank Ltd.
AB Bank Limited, the first private sector bank under Joint Venture with Dubai Bank Limited, UAE incorporated in Bangladesh on 31st December 1981 and started its operation with effect from April 12, 1982.As of December 31, 2006; the Authorized Capital and the Equity (Paid up Capital and Reserve) of the Bank are BDT 2700 million and BDT 3110.76 million respectively. The Sponsor-Shareholders hold 50% of the Share Capital; the General Public Shareholders hold 49.43% and the rest 0.57% Shares are held by the Government of the People’s Republic of Bangladesh. However, no individual sponsor shareholder of AB Bank holds more than 10% of its total shares. During the last 26 years, AB Bank Limited has opened 71 Branches in different Business Centers of the country, one foreign Branch in Mumbai, India, two Representative Offices in London and Yangon, Myanmar respectively and also established a wholly owned Subsidiary Finance Company in Hong Kong in the name of AB International Finance Limited. ATM booth is 24 and employees are 1700. With the adoption of new policy in 1951 by the Government of the People’s Republic of Bangladesh to allow private capital to take initiative with regard to the formation of banks. A group of Bangladesh entrepreneurs proceeded to establish the first bank in the private sector with the assistance and support of renowned. Dubai based Galadari family having stakes in international trade & finance and industry, a foundation was thus laid for the formation of a joint venture bank with Dubai Bank Ltd, the major share holders of which were the esteemed Galadari Brothers. The new bank named Arab Bangladesh Bank Ltd. Was incorporated in Dhaka on December 31st, 1981 and it commenced its banking business from April 12th 1982. Mr. M. Matiul Islam was, made the first chairman of the bank and Mr. Hafizul Islam was its first Managing Director. In 1986, the Union Bank of the Middle East Ltd. (LIBMR) inherited the shared of Dubai Bank Ltd. and continued as a shareholder till early part of 1987 when they decided to offload their invest in Bangladesh and concentrate their activities in the U.A.E. In terms of articles 23(a) and 23(b) of the articles of association of the company and with necessary approvals of the relevant authorities including Bangladesh Bank, the shared held by them in the company were transferred to group “A” shareholders i.e. Bangladeshi spacers and shareholders. AB Bank Limited, the first private sector bank under Joint Venture with Dubai Bank Limited, UAE incorporated in Bangladesh on 31st December 1981 and started its operation with effect from April 12, 1982. Dubai Bank Limited (name subsequently changed to Union Bank of the Middleast Limited) decided to off-load their investment in AB Bank Limited with a view to concentrate their activities in the UAE in early part of 1987 and in terms of Articles 23A and 23B of the Articles of Association of the Company and with the necessary approval of the Relevant authorities, the shares held by them in the Bank were sold and transferred to Group “A” Shareholders, i.e. Bangladeshi Sponsor Shareholders. As of December 31, 2006; the Authorized Capital and the Equity (Paid up Capital and Reserve) of the Bank are BDT 2000 million and BDT 2582.76 million respectively. The Sponsor-Shareholders hold 50% of the Share Capital; the General Public Shareholders hold 49.43% and the rest 0.57% Shares are held by the Government of the People’s Republic of Bangladesh. However, no individual sponsor shareholder of AB Bank holds more than 10% of its total shares. Since beginning, the bank acquired confidence and trust of the public and business houses by rendering high quality services in different areas of banking operations, professional competence and employment of the state of art technology. During the last 26 years, AB Bank Limited has opened 71 Branches including one Islami banking branch, one foreign Branch in Mumbai, India also opened two Representative Offices in London and Yangon, Myanmar respectively and also established a wholly owned Subsidiary Finance Company in Hong Kong in the name of AB International Finance Limited. To facilitate cross border trade and payment related services, the Bank has correspondent relationship with over 220 international banks of repute across 58 countries in the world. AB Bank Limited, the premier sector bank of the country is making headway with a mark of sustainable growth. The overall performance indicates mark of improvement with Deposit reaching BDT 42076.99 million, which is precisely 3.78% higher than the preceding year. On the Advance side, the Bank has been able to achieve 46.32% increase, thereby raising a total portfolio to BDT 31289.25 million, which places the Bank in the top tier of private sector commercial banks of the country. On account of Foreign Trade, the Bank made a significant headway in respect of import, export and inflow of foreign exchange remittances from abroad. a) Treasury & Investment functions: Treasury activities both Money Market and Foreign were done separately earlier from April 2007 both activities were merged and both the Officials are working sitting side by side. As a result, Bank’s treasury functions are running smoothly. b) Loans and Advances: Following the guidelines of Bangladesh Bank credit facilities have been extended to productive and priority sectors. The Outstanding advance of the Bank is Tk. 40.915.35 million on 31st December 2008. In extending credit facilities, the Bank has given due importance to sectoral needs and requirements of both public and private sectors. growing need of SME’s loan, AB Bank Ltd. create a separate Division . The outstanding advances in this sector stood at 42.00 crore as on 31st December 2008.
f) Foreign Trade : The performance of Foreign Exchange and Foreign Trade business is shown below marked a increase over the last year. g) Foreign Correspondents: AB Bank has already established a worldwide network & relationship with International Banking through its 1 representative office its in England, 1 subsidiary “AB International Finance .” in Hong Kong. 1Foreign Branch in Mumbai. sustained declination of classified loans over the years through the branches to keep pace with the global target of the bank to increase its performing assets. To achieve this target, the concern Division (Recovery Division-1) of Head Office co-ordinates the activities of the concerned Division/Branches to accelerate. (b) Settle-up classified loan accounts through interest waiver. © Regularize classified loans through rescheduling. Volleyball in different forms through organizing tournaments or through sponsorship of particular events. Bank wants to be an active partner in development of sports in the country.AB Bank has been sponsoring the Golf Tournament at the Bhatiary Golf Club for the last ten years in a row. soil. Bank also participated in the Training Academy of the Dhaka Stock Exchange. About Taka 8.0 lac was donated to procure training room equipment for the DSE Training Academy. AB has also been a regular contributor to the Bangladesh Institute of Bank Management. as E-cash, recently. This new platform will enable the Card Division to go for massbased card programs in the future. B bank Ltd. Does product goods like as a manufacturing Company. It provides loans and advances among the loonies and borrowers. The objectives of this Financial Institution is to take deposit with low cost and providing loans and advances with high rate of profit. Following the guidelines of Bangladesh Bank credit facilities have been extended to productive and priority sectors. The Outstanding advance of the Bank is Tk. 1,44,723.90 Million on 31st December 2008. In extending credit facilities, the Bank has given due importance to sectoral needs and requirements of both public and private sectors. In consideration of the importance of rural sector on overall economy of the country, AB Bank has started rural financing since 1990. Bank has been extending rural credit to rural people through its Real Time Online Banking network all over the country on easy terms and conditions. Now under this rural credit portfolio there are 34 products. Financial Statements of the Bank comprise the Balance Sheet, Profit and Loss Account, Cash Flow Statement, and Statement of Changes in Equity, Liquidity Statement and relevant notes and disclosures. Financial Statement of the Bank are made as at 31 December 2008 and are prepared under the historical cost convention except investments and in accordance with the First Schedule (sec-38) of the Bank Companies Act 1991, BRPD circular # 14 dated 25 June 2003, other Bangladesh Bank circulars, the Companies Act 1994, the Securities and Exchange Ordinance 1969, Securities and Exchange Rules 1987 and other laws and rules applicable to a banking company. Financial Statements of the Bank have been prepared in accordance with the measurement and recognition requirements of the International Accounting Standards (IAS) and International Financial Reporting Standards (IFRS) as adopted by the Institute of Chartered Accountants of Bangladesh ( ICAB ). Functional and Presentational Currency: Financial Statements of the Bank are presented in Taka, which is the Bank’s functional and presentational currency. Cash Flow Statement : Cash Flow Statement is prepared principally in accordance with IAS- 7 “Cash Flow Statement” and under the guidelines of Bangladesh Bank BRPD Circular No. 14 dated 25th June 2003. The cash flow statement shows the structure of and changes in cash and cash equivalents during the financial year. It is broken down into operating activities, investing activities and financial activities. “Preparation of Financial Statements” and under the guidelines of Bangladesh Bank BRPD Circular No. 14 dated 25th June 2003.
i. Balance with other banks and financial institutions, money at call and short notice, etc. are on the basis of their maturity term. ii. Investment are on the basis of their respective maturity. iii. Loans and advances are on the basis of their repayments maturity. iv. Fixed assets are on the basis of the their useful lives. v. Other assets are on the basis of their realization/amortization. vi. Borrowing from other banks, financial institutions and agents, etc. are as per their maturity/ repayments terms. vii. Deposits and others accounts are on the basis of their maturity term. viii. Provision and other liability on the basis of their repayments/ adjustments schedule. Assets and basis of their valuation: Cash and cash equivalent include notes and coins on hand, unrestricted balance held with Bangladesh Bank and highly liquid financial assets which are subject to insignificant risk of changes in their fair value, and are used by the bank management for its short term commitments. i. Loans and advances are stated at gross amounts at 31 December 2008.
ii. Interest is not charged on classified loans and advanced from the date of filling money suits against the borrowers. iv. Provision for loans and advances is made on the basis of year-end review by the management and of instructions contained Bangladesh Bank Circular No.34 of 16 November 1989, 20 of 27 December 1994, 12 of 4 September 1995,BRPD Circular No. 16 dated 6 December 1998, 9 of 14 May 2001, 02 of 15 February 2005, 9 of August 2005 and 17 of 6 December 2005,BRPD Circular No.05 dated 5 June 2006 and 05 of April 2008. The Bank’s investment in treasury bills are stated at present value and interest on treasury bills are recognized as income of the bank as and when profit received from treasury bills on maturity as per BRPD Circular No.15 dated 31 October 15 dated 31 October 2005 and DOS Circular Letter No.03 dated 07 February 2007.
i. All fixed assets are stated at cost less accumulated depreciation as per IAS- 16 “Property, Plant and Equipment”. The cost of acquisition of an asset comprise its purchase price and any directly attributable cost of bringing the asset to its working condition for its intended use inclusive of inward freight, duties and non-refundable taxes. ii. The bank recognized in the carrying amount of an item of property ,plant and equipment the cost of replacing part of such an item when that cost is incurred if it is probable that the future economic benefits embodied with the item will flow to the company and the cost of the items can be measured reliably. Expenditure incurred after the assets have been put into operation, such as repairs and maintenance is normally charged off as revenue expenditure in the period in which it is incurred. iii. Depreciation on fixed assets is charged using reducing balance method except motor vehicles, computers and photocopies for which straight-line method is used. iv. Depreciation for assets addition during the year is charged from the month of addition. Whole month depreciation is charged for the month of addition. v. On the month of disposal of fixed assets no depreciation is charged. The cost and accumulated of depreciation of disposed assets are eliminated from the fixed assets schedule and gain or loss on such disposal is reflected in the income statement. vi. Useful life and method of depreciation of fixed assets are reviewed periodically. If useful lives of assets do not differ significantly as it was previously estimated, bank management does not consider to revalue its assets by the meantime. Where property, plant and equipment have been financed by lease agreements under which substantially all the risks and rewards of ownership are transferred to the bank, they are treated as finance lease as per IAS-17 “Leases”. All other leases are classified as operating leases as per IAS-17 “Leases”. i. As lessee: Assets held under finance lease are recognized as assets of the bank at their fair value at the date of acquisition or if lower, at the present value of the minimum lease payments. The corresponding liability to the lessor is included in the balance sheet as a finance lease obligation Assets held under finance lease are depreciation over their expected useful lives on the same basis as owned assets. The bank did not grant any lease finance. Income tax represents the sum of the current tax and deferred tax. i. Current Tax: This tax currently payable is based on taxable profit for the year. ii. Deferred Tax: Deferred tax is recognized on differences between the carrying amounts of assets and liabilities in the financial statements and the corresponding tax bases used in the computation of taxable profit, and are accounted for using the balance sheet liability method. The impact on the account of changes in the deferred tax assets and liabilities has also been recognized in the profit and loss account as per IAS – 12 “Income Taxes”. Deposits: Deposits include various types like current deposits, saving deposits, short term deposits, fixed deposits etc. Bank Companies Act, 1991 requires the bank to transfer of its current year’s profit before tax to reserve until such reserve equals to its paid up capital. There is a provident fund scheme under the defined contribution plan. The fund is operated by a separate board of trustees approved by the National Board of Revenue as per Income Tax Ordinance, 1984.All eligible employees contribution 10% of their basic pay to the fund. The bank also contributes equal of employees contribution to the fund. these contributions are invested separately. Benefits from the fund are given to eligible employees at the time of retirement/resignation as per approved rules of the fund. ii) Staff gratuity: The bank has a separate Board of Trustees for operating the staff gratuity fund approved by the National Board of Revenue. Employees of the bank, who served the bank for ten years or above are entitled to get gratuity benefit at rates determined by the Service Rules of the Bank. employees. The fund is operated by a separate Board of Trustees. Provision for liabilities: A provision is recognized in the balance sheet when the bank has a legal or constructive obligation as a result of past event and it is probable that an outflow of economic benefit will be required to settle the obligations, in accordance with IAS-37 “Provision, Contingent Liabilities and Contingent Assets”. However, certain provisions on assets and liabilities are maintained in accordance with relevant Bangladesh Bank Circulars issued from time to time. accounted for as and when realised. Interest income on investments is recognized on accrual basis except treasury bills. Capital gains on investments in shares are also included in investment income. Capital gain is recognized when it is realised. Fees and commission income on services provided by the bank are recognized as and when the services are rendered. Commission charged to customers on letters of credit and letters of guarantee are credited to income at the time of affecting the transactions. Dividend income from investment in shares is recognized when the bank’s right to receive dividend is established. Interest paid on deposits, borrowing etc. is accounted for on accrual basis according to the IAS-1 “Presentation of Financial Statements”. All other operating expenses are provided for in the books of the account on accrual basis according to the IAS-1 “Presentation of Financial Statements”. Book of account in regard to inter-bank( in Bangladesh and outside Bangladesh) and inter-branch transactions are reconciled and no material difference was found which may affect the financial statements significantly. There exist no un-reconciled revenue items in NOSTRO accounts as at 31 December 2008. No accounts of assets and liabilities were set-off unless these were legally permitted accordingly to the IAS-1 “ Presentation of Financial Statements”. a. Basic earning per share: Basic earning per share have been calculated in accordance with IAS-33 “Earning per Share” which has been shown in the face of the profit and loss account. This has been calculated by dividing the basic earning by the total ordinary outstanding share. b. Diluted earning per share: No diluted earning per share is required to be calculated for the year as there was no scope for dilution during the year under review. Off-balance sheet items: Off-Balance Sheet items have been disclosed under contingent liabilities and other commitments as per Bangladesh bank’s guidelines. In accordance with BRPD Circular # 08 and 1 dated 07 August 2007 and 18 September 2007 respectively general provision @ 1.00% has been made on the outstanding balance of letter of credit, guarantee and acceptances as at 31 December 2008, while in 2007 general provision @ 0.5% has been made on above mentioned outstanding balance. Memorandum items: Memorandum items are maintained to have control over all items of importance and for such transactions where the bank has only a business responsibility and no legal commitment. Stock of travelers cheques, value of saving certificates ( Sanchaya Patra) , Customer’s stock of securities (MBW) and other fall under the memorandum items. Reporting period: These financial statements cover one calendar year from 01 January 2008 to 31 December 2008. 1.) In today’s world we consider time as money. So it needs prompt action in making disbursement and collection of payment. In ABBL introduction of Speed Cash / Western Union money transfer system of Foreign Remittance may resolve this problem. I recommend introducing of Speed Cash/ Western Union money transfer system at the earliest to expedite payment of remittance. 2.) ABBL has Online banking System for which they can provide customer service promptly. Acquiring Foreign Remittance depends on prompt customer service and instant payment, which requires Online banking system. 3.) ABBL maintain database of other banks’ branches for which communication with other bank in connection with payment of Foreign Remittance can be made smoothly. Maintaining of other banks’ database is highly recommended. 5.) The practice of marketing promotion policy is absent in AB Bank which will be a cause to its survival among all other new banks as the other banks are tremendously exercise to improve the marketing promotion practice. 6.) ABBL extends credit only to running and old customers but it does not encourage new entrepreneurs/ customers highly. In this regard increase in efficiency and maximization of profit is crucial. I recommend ABBL should extend credit not only running and old customers but it also should try to increase customer for its improvement and survival in future. ABBL should also copy up with globalization as it had already been improved itself in post reform environment. Primary and secondary data were collected very sincerely and efficiently. Collected data were analyzed; interpreted and essential findings were presented through appropriate research techniques. The study has identified a series of issues to incorporate and take up with the current process and procedure relating the mentioned subject After the introduction of financial sector reform and Banking Company Act 1991, changes in banking sector of the country are very remarkable. Activities of different dimension, modern system and methods of workings and better policies have been taking place in the banks. Successful application and operations for providing efficient services a midge’s keen competition of different banks enhance performance of them.